Steelcraft’s latest utility board, the STX600, was designed for the needs of the working truck and van owner, featuring an aggressive style for any use. Fits 2003 - 2019 Chevy Express & GMC Savana. 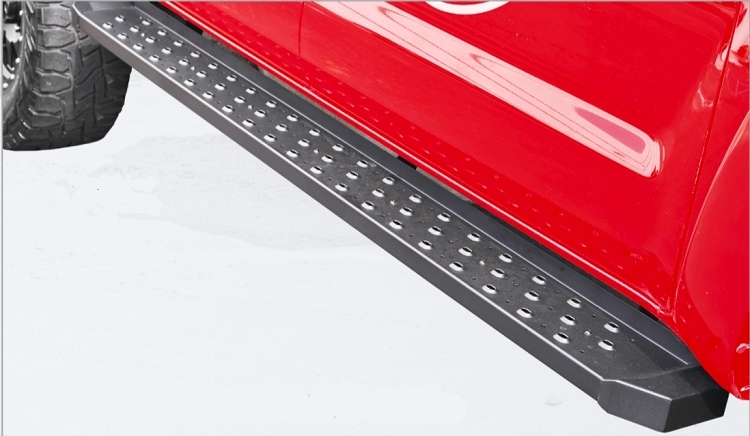 Includes one 32" step for driver's side, one 96" step for passenger side, all brackets, hardware and instructions. Drilling required. Electrocoating is a unique environmentally friendly organic finishing process that uses electrical current for paint deposition. Upon submersion an electrical charge is applied to the steel and an opposite electrical charge is applied to the special paint solution. Unlike simple powdercoating, this creates a seamless bond between the steel and the paint resulting in a uniform protecting coating over 100% of the steel inside and out.